This post was sponsored by Tom's Of Maine®. All opinions are 100% my own. 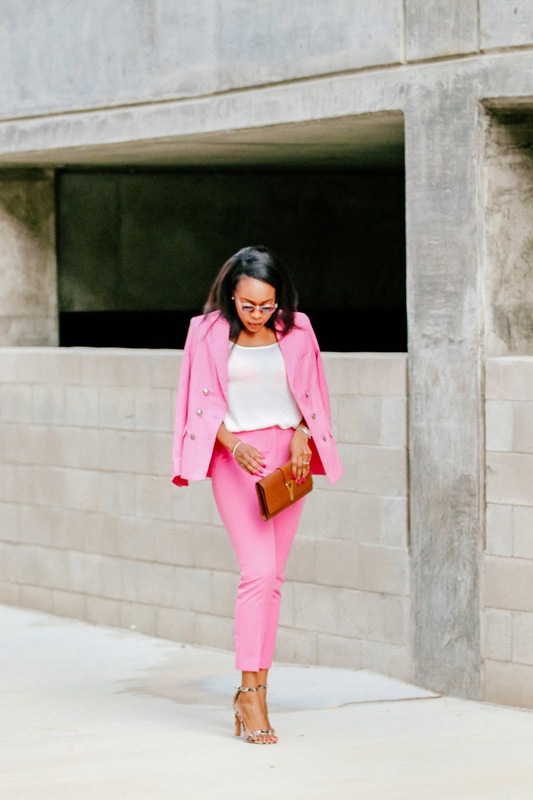 So, I have been meaning to write this post for a few weeks now and I am finally getting around to it. Today I am talking oral hygiene. Yes, we are going there, shall we? 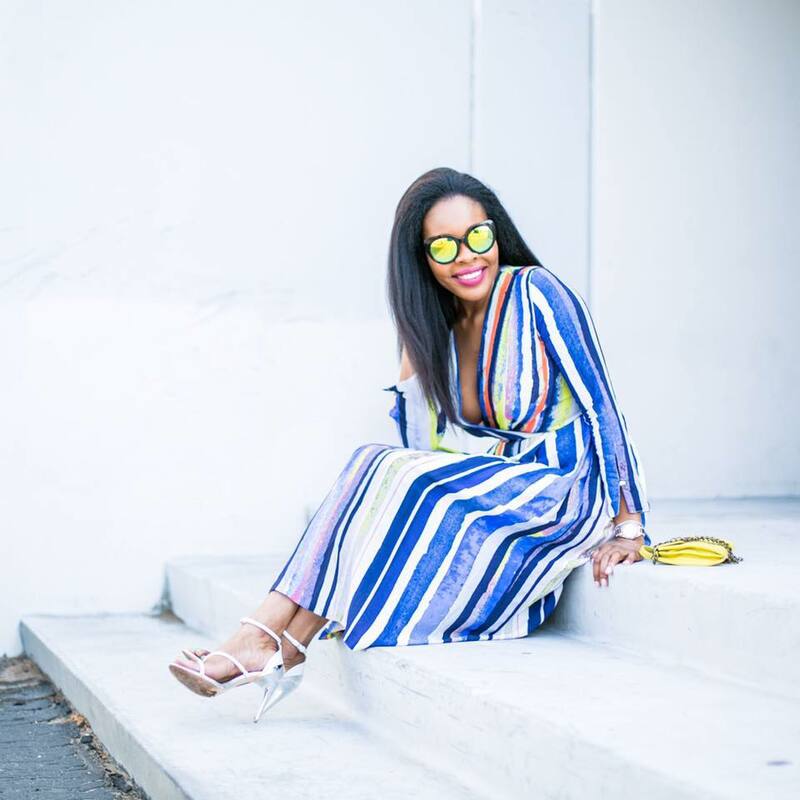 This blog grew into a Lifestyle because of you all and I will always share what's new or what I am currently loving with you. The thing is, I get to try and use many many products and I filter out the best ones and share them with you all. I never thought I could have left my old toothpaste, ever. I even asked my dentist about this brand and she is fully aware of them. Tom's of Maine® have been around for over 47 years so she definitely would have known about them. This might sound weird but I love the taste of this toothpaste. You can tell it's natural, especially if you've been stuck on some of the other kinds for years. It's that taste that just make you want to brush your teeth for long periods of time and over and over again. I literally get excited, even more so, to brush my teeth. Hehe! 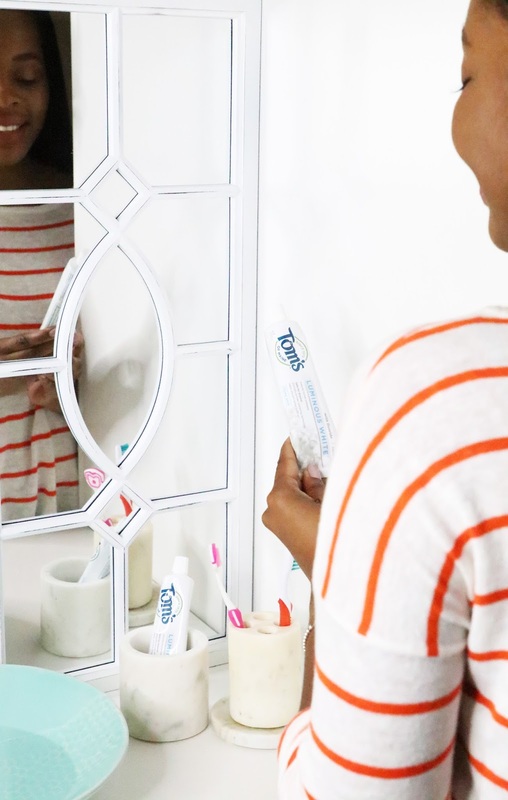 I'm feeling confident about what I am using to take care of my teeth and my overall oral hygiene. 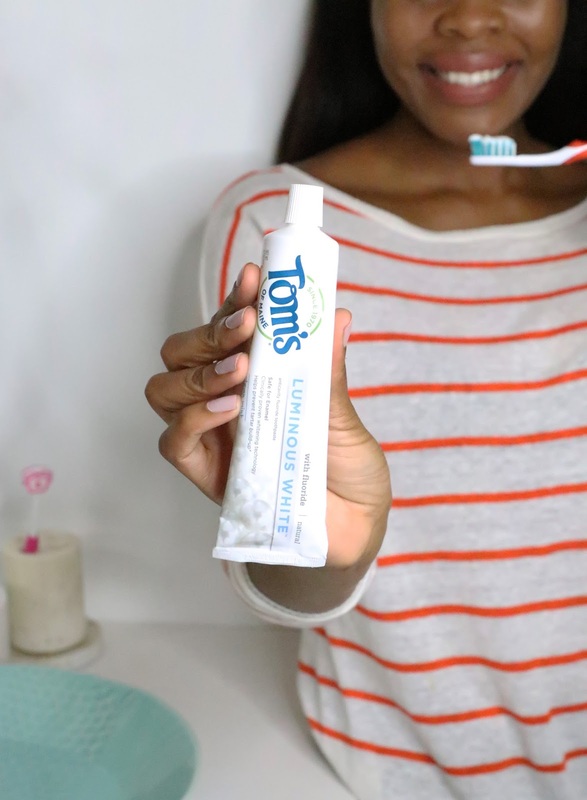 It seems so easy to just pick up a 'toothpaste' at the store but, the same way we take precaution in choosing items of your skin, hair, and even clothing we wear, we should for oral hygiene. Right?! 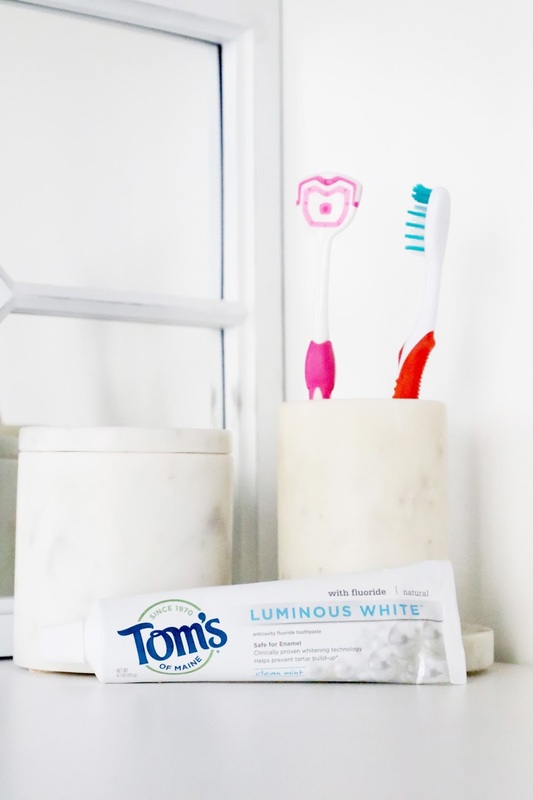 Have any of you tried this toothpaste before? Next time you're in your local whole or natural food store, grab a box and try them out. 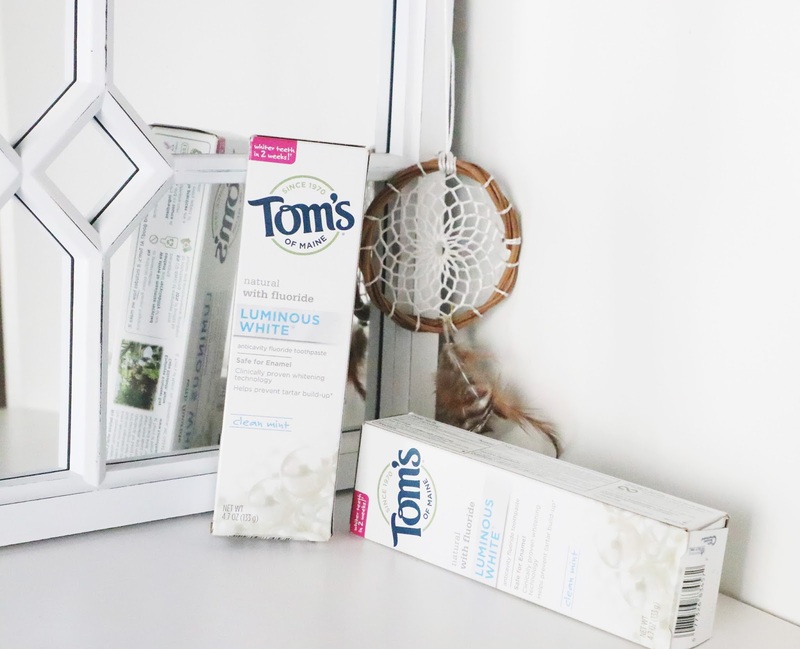 You an also order Tom's Of Maine® Luminous White™ online. They also carry a full line of other natural personal care products and I am going to try out a few more of their stuff and keep you posted. Have a great smiling day, Loves. Thanks, I really like trying new things. I live in Canada, I'm sure they will have it in our stores here, I'll check it out! Great Post and pics!! 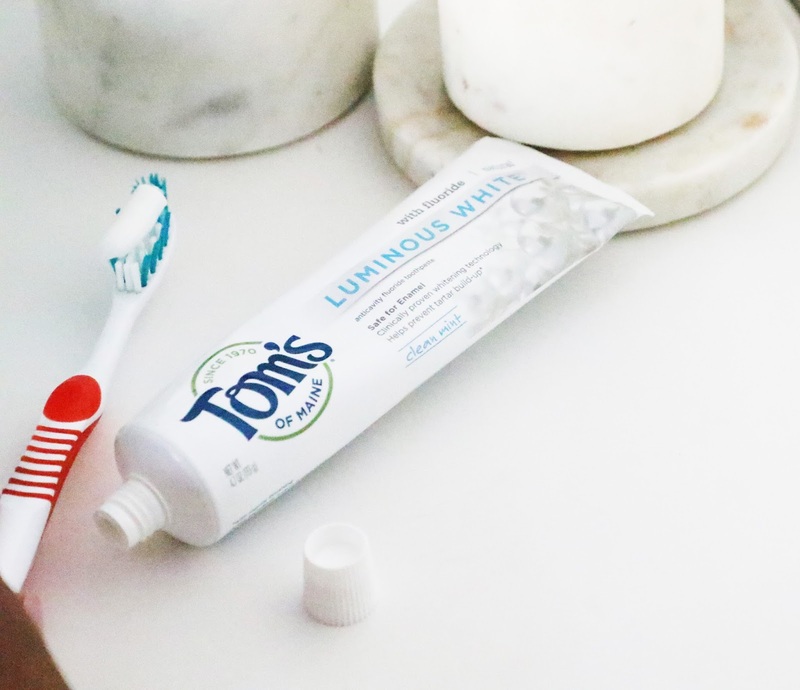 Can't wait to check out this new toothpaste from Tom's! Will have to check this out. I love Tom's. Can we just say we love the shirt you are wearing in this blog and Tom's of Maine!